If you are wondering if counseling is something you need, take a moment to consider something simple and profound: "Happy healthy parents make happy healthy children,” says Dr. Miriam Stoppard in her book Conception, Pregnancy & Birth: The Childbirth Bible for Today's Parents. Not a parent? Don’t check out just yet. Counseling may still be right for you. If your inner voice sounds powerless, chances are that you feel like life is happening to you instead of you happening to life. The power of choice and influence is integral to a sense of happiness. Those who think they can, do. Those who think they can’t, don’t. The thing is, you may not even realize that you are thinking or acting in a hurtful way. Counseling is an effective way to recognize the cycles at work in our lives. When we are in pain or under stress, sometimes we take shortcuts called “coping mechanisms” and while these can be lifesavers, many are not effective for long-term health. Mental health is like physical health in that sometimes you need a “spotter,” someone to keep an eye out that the way you’re doing your heavy lifting is the most effective way to be healthy. Counseling provides the setting to have someone on your team looking for the postures that can best support healthy patterns and ways to amend the ones that cause long-term damage. While it may not always be right for everyone, most of us could benefit from some assisted reflection. You may find that “Should I do counseling?” is your subconscious asking for what you need: the opportunity to hear your own voice out loud and provide an awareness that you did not have before. 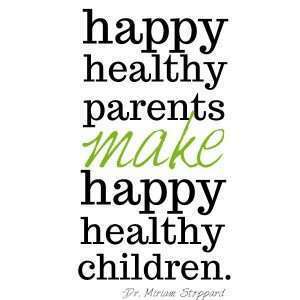 So for the love of children, others, and yourself, get happy and healthy! Find a therapist who can help you become the person you want to be and understand what you need to work through. Recognizing negative patterns is key to stopping them. When it is time to re-route these patterns, having an attentive counselor there to help you unpack the issue and re-construct a happier way of being is priceless.